A large portion of the plumbing industry is made up of handymen – guys with a toolbox and some basic know-how – who’ve never actually had any formal training in the field. While some of these Mr. Fix-Its possess the necessary skills, the vast majority don’t. If you aren’t careful, this could end up costing you way more than you bargained for down the road. 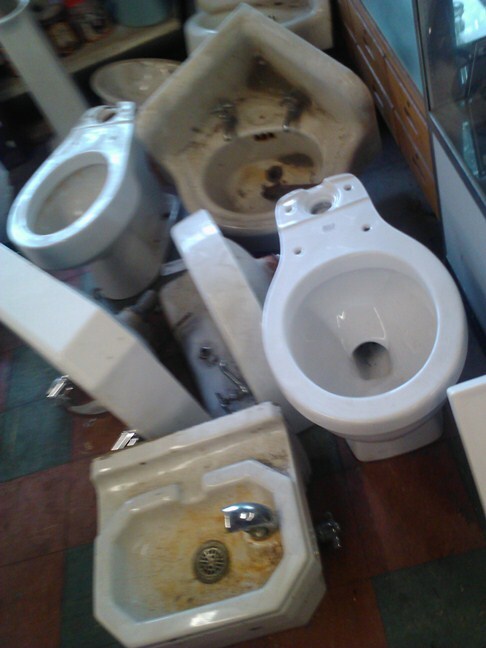 If you’re in desperate need of a plumber, make sure he or she is licensed. State licensed plumbers must abide by strict safety and building codes. They’re also more likely to carry worker’s comp and liability insurance. Not all states require licensing, however, so when in doubt hire a plumbing contractor with a solid list of positive online reviews. Bad clogs sometimes happen to good people. Most drain clogs are caused by a gradual build-up of organic debris, like hair and grease, on the inside walls of drainpipes. Over time this can slow or impede drain flow altogether. Drano® and other products like it usually do a pretty good job clearing out clogged drains. 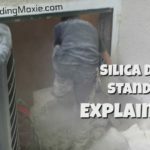 The problem with these products is that they are highly caustic which means they can cause damage to the interior of your pipes if you use them on a regular basis. In some cases, these drain cleaners can even burn a hole right through your pipes, resulting in an extremely expensive clean up. 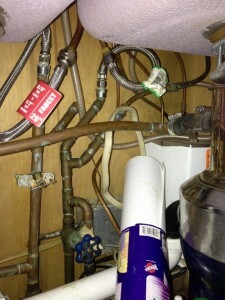 The most effective way to clean a clogged drain line is to call a plumber and have it snaked. There’s no denying that lemons smell great. If you grind them up in your disposal, they’ll probably give off a pleasant smelling aroma initially, but in the long run, you’re asking for trouble. Lemons have a tart taste and smell because they contain citric acid. Citric acid and other strong acids don’t mix well with metal and will cause your disposal’s blades to erode and deteriorate. Though it might be a little noisy, a handful of ice cubes is actually the safest and easiest way to clean out and deodorize your garbage disposal. 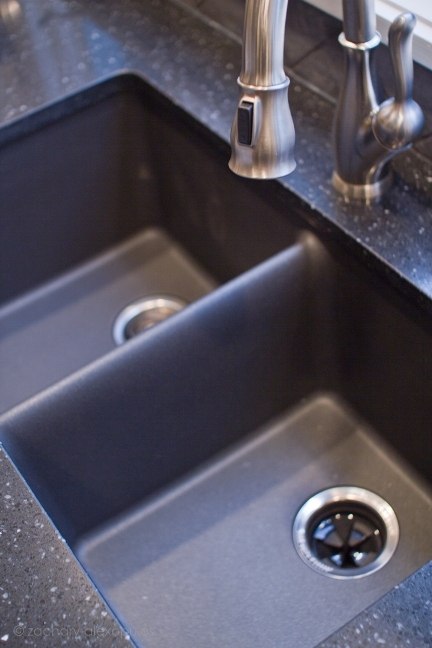 Ice cubes can help “de-gunk” and remove odor-causing food particles from the blades of your garbage disposal. Also consider adding some rock salt to your ice cubes to give them extra scrubbing power. It’s just a few drops of water, what harm could it do? 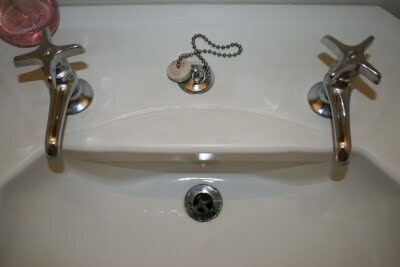 Simply put – a leaky faucet is like flushing money down the drain. Having just a single leaky faucet in your home can waste up to 2,000 gallons of water annually, which can really rack up the cost of your water bill. A simple leak may only add $20 to your yearly budget, but a fast dripping leak can end up costing you as much as $200 per year. Water is a precious, life-giving resource that should never be squandered. Repairing a leaky faucet is a simple (and typically inexpensive) task that can save you cash and conserve water at the same time. Nearly 85% of our water is pumped from aquifers. Reducing your overall water consumption can also save money on the electricity necessary for pumping equipment. In the long run, this may lower the cost of providing water, further reducing your water bill. Photo Credits: Thanks out to Paul @ Hamtil Construction & Roeschel @ DIY Show Off for providing photos. Below via Building Moxie. Briana Davis writes on behalf of McAlister Mechanical, an industry leader in Minneapolis plumbing, heating and cooling. She writes tips, tutorials, and more on the McAlister Mechanical Blog. Timely and interesting as we are dealing with some plumbing issues right now! I had not known the ice cube trick at all! I hope you aren’t dealing with anything too crazy. all the best Kym. Really great tips here. I appreciate the advice in #1, as we had to “rescue” someone who got mixed up in exactly that situation earlier this year. In our area, there is a list of licensed plumbers available online via the county and city. Love the ice cubes idea also! it’s a good tip, and thanks for your comment. I have never used the rock salt myself personally but my sense is it would work out just fine. cheers. Thanks for all these tips. I especially like the one about the garbage disposal unit. I’ll have to remember that in case I ever have one. Great info! Thanks so much for sharing! Great tips. Especially #1. I’ve met so many “plumbers” who were not all they’re cracked up to be. Always do your research before hiring a plumber, or any kind of contractor for that matter.